Shopping for a sewing machine can be downright daunting. The industry is quite competitive, and with so many options on the market, narrowing the field is difficult even for the most seasoned of sewists. Many people don’t realize that each sewing machine model serves a unique purpose. 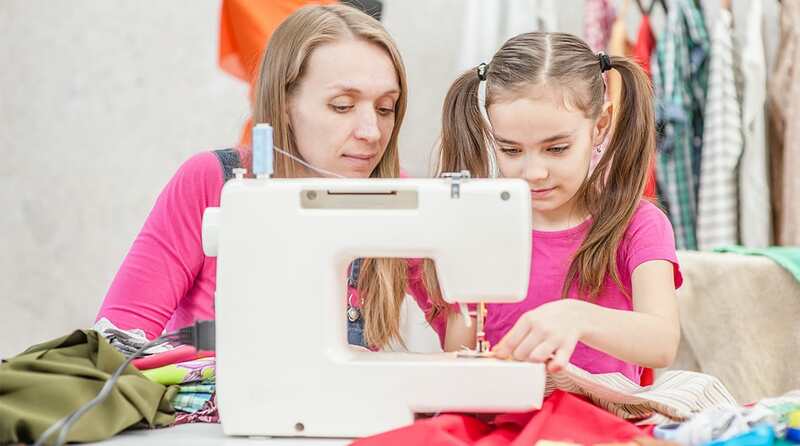 An experienced quilter wouldn’t benefit from a machine designed for a beginner, just as a dressmaker is unlikely to produce professional grade garments on a child-friendly machine. In this guide, I’ll highlight the best brands to consider, features to look for and how to look after your machine. But first, check out this interesting video of how a sewing machine actually works! How Does a Sewing Machine Actually Work?! There are three main types of sewing machines, all of which I adore for different reasons. Mechanical Sewing Machines: These “old school” models are a great introduction to machine sewing. Many folks, including myself, are the proud owners of mechanical sewing machines that have been passed down through generations. Mechanical machines are generally more budget-friendly than electronic models. They are ideal for the occasional crafter and for folks who prefer to hem their own garments and create simple projects. Some experienced sewists prefer sewing on a mechanical machine. Electronic Sewing Machines: Ideal for serious sewists and crafters looking to enhance their sewing skills, electronic sewing machines provide endless project possibilities. While they’re typically pricier than mechanical models, these machines are high-tech and produce beautiful projects. The majority of these modern machines feature touchscreens, a variety of feet, and numerous stitch options. 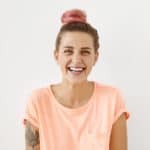 Sewing-Embroidery Machines: As a lifelong crafter, I’ve enjoyed dabbling in a variety of different crafts, including embroidery. Hand-embroidery can be time consuming, so I love the fact that some sewing machines also embroider. These versatile machines have the capability of producing any design in any combination of colors. They’ll even let you know when to switch colors. While these machines tend to be pricey, they allow sewists to create complex designs and explore new avenues. Two sewing machine brands have become globally known for producing top-notch machines: Brother and Singer. Brother launched back in 1908 and has some of the best sewing machines on the market. 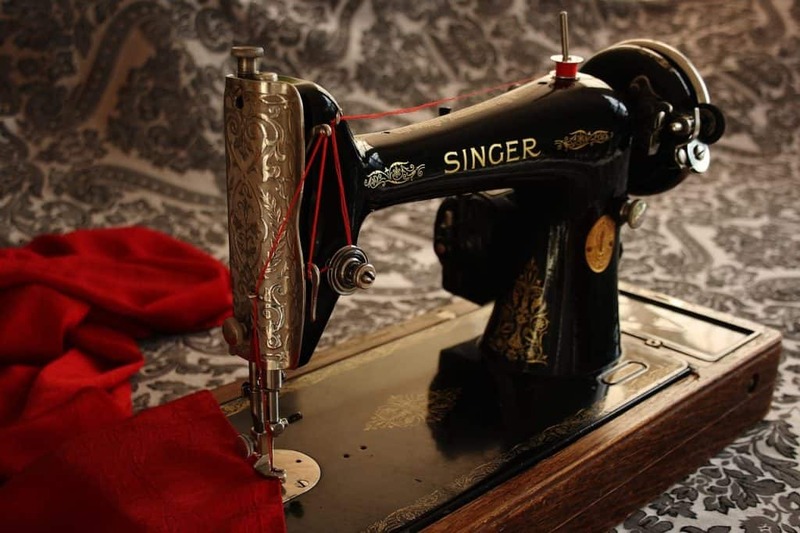 Singer began much earlier, in 1851, and produced the very first practical sewing machine designed for domestic use. Their machines continue to be popular among crafty consumers. Juki and Janome have become Brother and Singer’s top competitors, first introducing their high-quality machines in 1945 and 1950, respectively. Both companies produce heavy duty machines that are intuitive and versatile. They may be sold at a higher price point, but they are truly built to last. I’m not a finicky sewist, but I sure do appreciate sewing machine functions that make the process easier. Below I list some must-have features, as well as a few that are nice to have, but not completely necessary. Easy-to-use controls: When it comes to sewing via machine, consistency is important. The controls should be user-friendly. There is nothing more frustrating than a sewing machine foot you can’t count on to get the job done. If at all possible, try out machines before making your purchase to ensure you’re happy with the functionality and consistency. Presser feet: Some sewing machines only come with feet for basic stitches, while others include lots of feet for a wide variety of projects. Along with straight and zigzag feet, I’d recommend purchasing a machine that comes with a buttonhole foot and a zipper foot. Based on your sewing skill level and goals, you may want to invest in a machine that comes with several specialty feet. Automatic needle threader: To some, an automatic needle threader is optional, but I consider this feature a necessity. To avoid wasting time hand threading your needle, choose a machine that will thread your needle for you. Power button: I want to be able to power my machine down when it’s not in use, so I prefer machines with a power switch or button. The majority of modern machines include this feature. Speed control: If you’re anything like me, you prefer a machine that runs smoothly and allows you to work at your own speed. Look for a machine with speed control options. This is especially important for intricate projects. Weight: Many folks aren’t lucky enough to have a dedicated sewing space where they can proudly display their machine 24/7. If you keep your machine stowed away until you need it, or if you plan to travel with it, choosing a lightweight machine with a handle and/or carrying case is essential. Buttonhole maker: Among other impressive features, many high-tech, modern sewing machines sew buttonholes automatically. If you plan to sew garments, this feature is a must! Easy-to-read display: Computerized machines typically have a well-lit display screen that’s easy to read. Tension adjustment: Your sewing machine should allow you to adjust the tension with ease. Most modern machines adjust tension automatically, while older machines typically require manual tension adjustment. Auto tension is a nice feature, because you won’t need to fiddle with the tension unless you’re working on various projects that require different tensions. I’ve used both types of machines and have adapted easily to both manual and auto tension. Drop-in bobbin: Unlike outdated front-loading bobbins, drop-in bobbin systems allow sewists to quickly and easily change bobbins. Because they often have a clear cover, you’ll know when it’s time to change your bobbin. It’s incredibly important for beginner sewists to invest in a machine that’s easy to use, but what about experienced sewists? After years of sewing, I can honestly say that ease of use may be the single most important consideration when purchasing a sewing machine. Whether you’re splurging on a high-end machine or buying an entry-level model, opting for an intuitive machine will make your sewing time much more enjoyable. The majority of sewing machine manufacturers will highlight the stitches per minute the machine produces in the product guide. While a machine that pumps out 5,000 stitches per minute is certainly impressive, the truth is, most non-professional sewists don’t require a machine that produces this many stitches. Most modern sewing machines allow you to adjust your stitch length and width with the turn of a dial, giving you complete control over the appearance of your stitches. One of my favorite sewing machine features is the auto thread cutter. With the press of a button, the machine cuts the thread, so there’s no need to grab your scissors. When choosing a sewing machine, be sure to look at the warranty information. Repairs can be pricey. Luckily, the top brands offer generous warranty plans. In fact, Singer, Brother, and Janome all offer 25-year limited warranties on their machines. If you purchase a machine from a dealer rather than a chain store, you may also receive a warranty through the dealer. Regardless of where you buy your machine, be sure to keep your receipt, the original packaging, and all included accessories in a safe place for warranty purposes. I can’t stress enough how important it is to take proper care of your sewing machine. It may sew like a beast, but it takes lots of TLC to keep a sewing machine running smoothly. You can maintain your machine as you sew by using high-quality needles and thread. Find a trusted sewing machine repair person, and have your machine maintenanced regularly, approximately every two years. If something goes awry with your machine, you’ll be thankful to have an expert who has already worked on your machine. 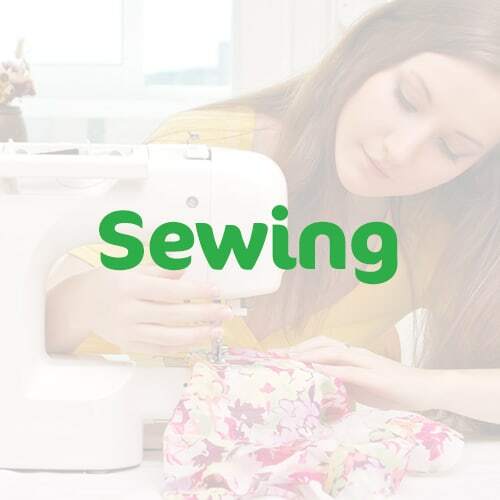 Because most sewing machine experts specialize in working on specific brands, I highly recommend scoping out experts in your area and finding out which brands they service. Clean your machine often. Use a nylon brush, making sure to clean every crevice. Avoid using canned air for cleaning. This highly pressurized air could damage your machine by blowing debris into the mechanisms. Oil your machine as directed. This video by Leah Day (below) is an excellent resource for cleaning and oiling your machine. Like Leah, I recommend printing out the page of your manual that highlights where your machine should be oiled, as you’ll be using this section regularly. I’d be remiss not to mention two final factors to consider before purchasing a sewing machine. What is your current sewing skill level, and what are your sewing goals? If you’re just starting out on your sewing journey, I’d recommend a beginner-friendly machine, such as the Brother CS6000i. With that being said, I wouldn’t warn against purchasing a machine with more features, as you can start with the basics and try out more complex features and functions as you learn. 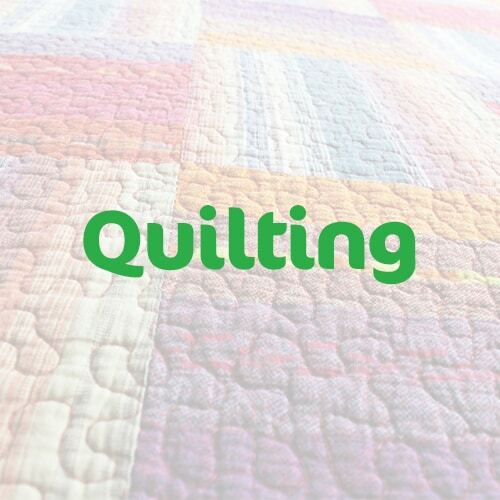 Do you hope to make an heirloom quilt for every member of your family, or do you plan to sew your own garments? If your goal is simply to hem pants or sew pillows, a beginner machine will do the trick. If you dream of venturing into free motion quilting or sewing your own wardrobe, however, I’d steer you toward a higher-end model with more features. There are sewing machines available to fit virtually any budget. Generally speaking, higher priced models include advanced functions and extra features, while budget-friendly machines tend to cover the basics and skip the bells and whistles. Tip: Don’t splurge on a high-end machine if it doesn’t fit into your budget. There is no shame in starting off with a budget-friendly model. You may one day decide to save and upgrade, but many of the machines I reviewed above are reasonably priced and offer plenty of features for everyone from beginner sewists to longtime sewing pros. In addition to these tips, consider taking a sewing class at your local sewing or craft store. While I can recommend my favorite machines, there’s nothing quite like trying them out for yourself. I’ve had the pleasure of testing and owning many sewing machines since I began my sewing journey more than a decade ago. While I could sing the praises of many other machines on the market, the ones listed above are my absolute favorites. No matter which sewing machine you choose, I hope you find the hobby as therapeutic, fun, and rewarding as I do. Hey! Thanks for checking out my beginner’s guide to sewing machines 🙂 Whether you love to get creative with fabrics, enjoy the challenge of following a design, or simply want the ability to mend clothing, I’m here to help you consider what features to look for and to find the right machine!